Following a brief conversation at training, if anyone wants to double check if racing suits are FINA approved then you can check on the FINA website. Select the brand and a full list should appear. Land training will continue Tuesdays 5-6pm for swimmers in Performance and C2 who are identified by the Head Coach. There will be no session 4-5pm from now. Swimmers in Performance and C2 identified by the Head Coach will take part in a 12 week block of work. Further details will be communicated to these swimmers this week. This session is aimed at swimmers for whom land training is an immediate priority. We plan to continue to explore opportunities for land training for younger swimmers in other squads. However I would like to emphasize that younger swimmers especially (12 & Under) can benefit substantially from being involved in other sports such as gymnastics, dancing, martial arts etc. For older swimmers who have not been identified for this block of land training please continue to work hard and attend pool sessions regularly. Regular attendance at pool sessions will greatly enhance the chance of swimmers being identified as requiring land training the in the future in line with Long Term Athlete Development. Morpeth ASC was first established in July 1969 which means we are celebrating our 50th anniversary this year. To mark the occasion we are planning a “Celebration Evening” later in the year - July 6th - for all of our members, so save that date in your diaries! We really hope every member of the Club will get involved and join in the celebrations. In order to keep ticket prices for this event to an absolute minimum we will need to do some fundraising events, the first of which was our Easter Egg Raffle. Please do let the Committee know if you can lend a hand or have any fundraising ideas, and together we can make this an exciting and successful year for Morpeth ASC. Can all swimmers please aim to use the wet side changing facilities at all times, especially on a Sunday when between 5-6pm as this is when the dry side changing facilities are closed for cleaning. We appreciate the changing rooms are busy so can we please encourage everyone to put their bags and clothes in lockers and refrain from keeping their things in a changing cubicle. All belongings are left at the owners own risk. Anything left in a changing room could be moved. Lockers are lockable with 20p to guarantee the safety of all belongings. The leisure centre staff have had problems cleaning the wet side changing rooms at other times in the week because some swimmers have left kit in cubicles or draped over locker doors. Please put all belongings into a locker properly so that they can do a good job without your kit getting soaked. We have been alerted by Parentmail that there are some people experiencing problems with emails going straight into spam folder. If you know of anyone in the swim club having this problem please encourage them to use the Parentmail APP. Would swimmers who may qualify for this summer’s Nationals, please read the information on the web site link below. We are desperately looking to involve volunteers to help with fundraising. If you are willing to give up a little of your time to benefit the club, please speak with Mark Atchison or add your name to a list that will be put on the notice board over the next few days. Morpeth ASC is also signed up to Easy Fundraising. It’s very easy and at no cost to you. Fist sign up, then visit Easy Fundraising before shopping online and if you make a purchase the retailer will make a donation to the club. Please find below the details of the club's Annual General Meeting. We have a number of people stepping down from the committee this year after many years of service so are actively seeking new members to join our ranks. You don't need to have any previous swimming experience or knowledge (if you do then that would be great!) but if you can spare a couple hours a month to help run the club it would be appreciated. If you want to know more about what might be involved then you can 'reply' to this email with any questions you have or simply have a chat to any of the current members who are often around poolside or the balcony. The committee is an essential part of the club - without it we cannot function so please don't just assume 'someone else' will do it - we need you!! Fantastic effort from all the swimmers, thank you all for coming down to help raise money for the club and Morpeth Lions. There is still time to sponsor the teams! 75% of funds raised to straight to the club and 25% go to Morpeth Lions. Please see Mark Atchison for sponsorship. I would like to remind you that when swimmers are in the pool working in a session (or at a competition) it is extremely important they are paying attention to the coaches at all times. They should NOT be distracted by anything including communication from the balcony. This is to ensure they are receiving the correct instructions, technical feedback, that sessions run effectively and most importantly health and safety principles are followed at all times. We want parents to enjoy watching their child’s swimming and progression however if the problem continues and swimmers are unable to complete sessions correctly and safely we will consider closing the balcony during sessions. Parents are there to support their child and help with logistics (e.g. getting there on time or having snacks ready for after) but should NOT be giving technical feedback. Technical feedback is the job of the coaching team who are qualified to do this. This is at training, in the car and at competitions. Please find Below a report I hope to send out each month highlighting some of the key achievements of our swimmers and any important changes within the club. A copy can also be found on the club notice board. Just a quick note to advise ALL swimmers should not be wearing jewellery during sessions. Swimmers should also remove watches and Fitbit type products. The lanes are narrow and with sometimes 8-10 swimmers per lane during club sessions an accident could easily happen. Please see below message from Kay who has with others worked hard to tidy up the Kit bag area over half term. Please do not hesitate to contact me if there are any questions"
A quick reminder that all swimmers should be bringing a Water Bottle to ALL training sessions. Concern has been raised about the number of children turning up to training working hard sometimes for over a hour without a drink! Swimmers should attend with at least 750ml to 1L of fluid (water or dilute juice) for each hour of training. Swimmers in Performance and Junior Performance may need two bottles on Monday, Wednesday and Friday evenings. Swimmers who attend training without a sufficient amount to drink will not be allowed to swim. Please find the most up to date equipment lists for each squad . The club have some of these items but we can't guarantee these will always be available. If swimmers don't have the correct equipment this will impact on their ability to complete the session correctly. Ness swimwear have ALL of the items on this lists and have shops at many of the external competitions we attend. Alternatively, click on the NESS logo at the top of this page to go to their website. 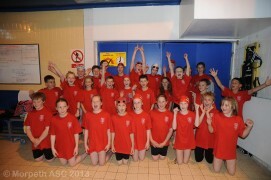 Please follow us on our twitter account @morpeth_asc for important announcements, training changes, gala results etc. Can parents please ensure that if their child has an inhaler that it is brought onto poolside, that it is named and in a sealable clear bag so it stays dry.  NESS Swimwear have given club members the opportunity to receive a 5% discount when ordering, use the discount count morpasc20 in the shopping basket. At the same time the club will also receive funds from NESS. Click on the NESS logo to go to their website.